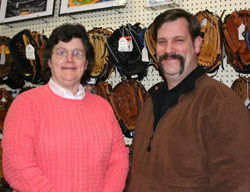 John and Therese LeBlanc purchased General Sporting Goods in 1963. John had previously owned Tasty Donut Coffee Shop in downtown Gardner, Massachusetts and Theresa worked as a surgical nurse at Heywood Hospital. They changed the name to John's Sport Shop to give the place a more personal feel. John's Sport Shop is a real family operation. 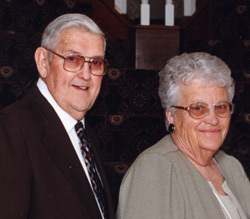 All four of the LeBlanc children, Jeanne, Barbara, Anne, and Alan all worked in the shop at different times throughout the years. Alan and Anne continue to run the store today. Our focus has been, and continues to be, to work with area schools and sport leagues, while continuing to support the individual athlete. We provide the goods and services our customers need and deliver quality merchandise on time. We enjoy being part of the sporting goods industry; and stay on top of innovative sports technologies that lead to exciting new athletic equipment and fabulous sports fashions.